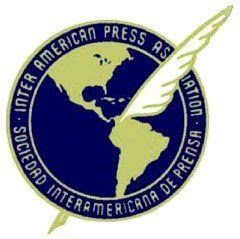 The situation of the press over the past six months reflects the same precariousness and hopelessness of Cuban society itself: government media used as propaganda tools, iron-hand censorship, and disinformation; repressive actions against independent media which mix pressure, beatings, threats, and harassment by mobs; and operations by intelligence agencies to block and silence discordant voices. At the time of this report, all of the journalists had been released from prison who were among the 75 people unfairly convicted in the so-called Black Spring in March, 2003. At that time, 75 people were jailed, including journalists, union organizers, and human rights activists, who were sentenced to terms of from three to thirty years. Some were confined for ten years, the majority for more than five. During this time they suffered a severe penal regimen, with punishments, beatings, insults, terrible food, overcrowding, and comingling with highly dangerous common criminals. All saw their health seriously affected. 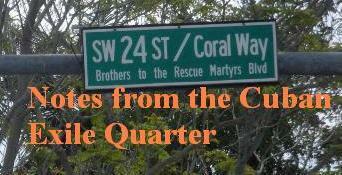 In addition to everything else, the prisons were located far from their homes and there were reprisals against their families. This period is marked by two significant events: an uncertain process of economic reform, and the unusual release of political prisoners and journalists, while surveillance, control, and repressive activities continue through the use of frequent short-term detentions of a few days or hours. The reforms, whose scope does not even approach those that were carried out in the old socialist areas in the 1970’s and 1980’s—have been characterized by their timidity, slowness, and in the words of the regimen itself “by an excessive bureaucracy.” Since they were announced in July, 2007, they have aimed to calm the anxiety of a population suffering from scarcities and drowned by a lack of freedom. In December, 2010, President Raúl Castro admitted that the country was running the danger of submersion. The firing of a million workers—which had the ironic approval and collaboration of union officials and the unconditional support of the press—was silently shelved, perhaps due to the fact that it could worsen an already chaotic situation. The release of prisoners, the result of mediation by the Catholic Church, and designed by the government, was supposed to improve the image of the regimen and secure foreign aid, primarily from the European Union. The departure of the prisoners was colored by an attempt to exaggerate political effects; those few who refused to go into exile with their families had to wait until the end. Release from prison meant being sent away from their homeland for the immense majority and the prisoners have not been given amnesty or pardon: they have been granted an “extrapenal license,” which leaves those who chose not to depart the island at risk of returning to prison at any time. In January, the organization Human Rights Watch (HRW) in its annual report stressed that Cuba is the only country in Latin America where almost all forms of political expression are suppressed through harassment, beatings, and criminal accusations. According to the Cuban Commission on Human Rights and National Reconciliation, in January 117 people were arrested, and 390 in February. In March, 32 incidents of police repression were reported, with a balance of 83 persons arrested who were released after a few hours or days. In addition, that month saw 12 acts of repudiation. In this context, it notes the private visit that former president Jimmy Carter made at the end of March. For the first time in many years, a former president met with dissidents, ex-political prisoners, bloggers, and independent journalists, including Yoani Sánchez, Claudia Cadelo, Laritza Diversent and Reinaldo Escobar. Around one hundred independent journalists carry on their work, with a lack of materials and incessant repression. They have to go to foreign news agencies, broadcast outlets, and publications to get out their reports and commentaries. Some diplomatic missions in Havana offer them facilities to connect to the Internet and send their reports; such is the case of the Interests Section of the United States (SINA), the Czech Republic, the Netherlands, and the United Kingdom, among others. Although the majority of those who started the movement at the end of the 1990’s have been forced into exile, others keep coming into it. For this reason, it is worth pointing out the example of some, just barely out of prison, who have returned to the activities that had sent them to jail in the first place. Nevertheless, the existence of several dozen independent blogs now attracts the greatest amount of attention from the international press. The names Yoani Sánchez (Generación Y) and Claudia Cadelo (Octavo Cerco) are recognized around the world, but recently many other blogs have grown in relevance, attraction, and journalistic and literary quality. This seems to be an unstoppable movement. In December, independent journalist Guillermo Fariñas was awarded the 2010 Sajarov Prize for Freedom of Conscience. Fariñas was not able to receive it in person because Cuban authorities would not allow him to leave the island, the usual reprisal against dissidents. Since then the journalist has been arrested on several occasions and the police and their mobs have never stopped harassing him. On the occasion of the International Day of Women, Cuban blogger Yoani Sánchez, who has received a number of international distinctions, including the Ortega y Gasset Prize, received the “Women of Courage” prize from the Department of State of the United States, along with seven other women. Cuban bloggers do all kinds of juggling acts to fool the censors and keep their blogs updated, wherein they present their chronicles and opinion pieces on the Cuban situation. Their pages are often blocked, the authors subject to surveillance, arrest, and beatings. In the blogosphere itself they have to face up to more than one hundred official blogs that benefit from unlimited resources and government support. Cables from the Department of State published recently by WikiLeaks, showing that Washington prefers to bet on the young bloggers rather than traditional dissidents, appear to confirm those fears. For the Cuban government, Facebook, Twitter, and YouTube are the enemy. At the end of February, revelations from two intelligence agents who had infiltrated the dissidents demonstrated once again the old tactics of disaccrediting opponents and independent journalists, those accused of being mercenaries of the United States. This served as a preamble to the trial that at the beginning of March the government mounted against the American contractor Allan Gross, accused of “acts against the integrity and independence” of the country. As is known, Gross was arrested in Havana in December, 2009 for distributing satellite equipment to a Jewish community, remaining in prison without formal charges for 15 months. Since March 7, television has been showing a series centered on what it calls “cyberdissidence,” an offensive in which the newspaper Granma also participates. The characters that the series focuses on in this new campaign to discredit, a true media lynching, are Yoani Sánchez and Dagoberto Valdés, director of the magazine Convivencia, an independent publication with Christian inspiration, which makes strong criticism of the regime. Both of them were shown chatting with workers at the Interests Section of the United States (recorded by state security agents) and the program insists on the large amount of money that they receive from abroad, either through “manipulated prizes” or “calculated donations.” As on so many other occasions, they bring up the phantom of USA and CIA interference to veil their purpose of putting a brake on any dissident activity through terror, and dissuade the interest of young people in new technologies. For this reason, they have also been able to discourage the initiatives of certain dioceses of the Catholic Church to foster the creation of independent blogs among young people. The nature of the government press—really just a tool for propaganda and disinformation—could not appear more explicit as in the coverage given of the revolts in the Arab world. At moments in which in Libya there was witnessing an uprising against the dictatorship of Muammar Gaddafi, the official media deployed a panorama of just what the government press is: they insisted on the calm that reigned in Tripoli and on their support for the population. To judge from the first page of Granma, there were no massacres or desertions of government workers, nor revulsion by the rest of the world, nor were any cities taken by the rebels, anxious to achieve freedom. As background, the opinions (“reflections”) of Fidel Castro color the political environment, with apocalyptic predictions and admonishments against deviation and harangues against the United States. The few criticisms that the media present—with greater or lesser emphasis, depending on the interest of the regime—deal with peripheral matters. There are no references to the lack of freedom, to violations of human rights, or the situation in the prisons, much less accusations against individuals or the government party. The Cuban government wages a policy of the carrot and the stick against foreign correspondents accredited in Havana. If the correspondent becomes too raucous in his criticism, all sorts of problems are created for him until his presence in Havana turns into a torment, or else they denounce him in the official press to the point that he leaves the country. If, on the other hand, if he behaves nicely, they let him work and even facilitate contacts and interviews for him. This brings about permanent self-censorship and even reports with a touch of sympathy for the regime. . The authorities at the International Press Center (CIP) have fine-tuned controls for the granting of visas for temporary coverage. This is the case of reporters for El Nuevo Herald, for whom they continue to deny visas to enter the island. Curiously, the Cuban Interests Section in Washington has expressed its interest in having the newspaper give greater coverage to Cuban baseball games. Knowing that any spark could ignite an uprising, the regime carries out detentions of journalists and opponents for days or hours. The harassment by mobs, organized and protected by the police, and meetings of repudiation are intended to create an atmosphere of terror which prevents gatherings and demonstrations of discontent. Under these circumstances, there is an attempt to prevent alternative channels of information from having access to the population. Unlike in Tunisia, Egypt, Bahrain, and even Libya, which have authoritarian or openly dictatorial governments, in Cuba the common citizen cannot connect to the Internet and, therefore, Facebook, Twitter and YouTube are unknown to him . The undersea fiber optic cable that has just been installed between Cuba and Venezuela at a cost of 70 million dollars will mean greater access to the web, which on the island goes to only three per cent of the population. The government has said that there are other priorities before offering wide band access to private citizens. At the beginning of 2011, the government made threats against manufacturers of clandestine satellite antennas and sellers of cards to capture television satellite signals. Granma justified the persecution of these activities as part of the “defense of the radio-electronic sovereignty” of the country. They continue conducting dragnets to locate the centers of signal distribution, dismantle the networks, and finally destroy the antennas and connections and fine the violators. The hunger for information is immense. In addition to using traditional media, such as foreign radio and television broadcasts, Cubans create new ways to peek into the world outside. Those few privileged ones with access to the Internet and satellite antennas feed a parallel distribution network of news through diskettes and USB memory devices. Seldom has electronic piracy become such a national pastime and had such a great beneficial effect. For example, a publication like El Nuevo Herald, catalogued as “counterrevolutionary” now has notable acceptance on the island. The number of visitors to its web page has been growing in recent years and it has, on average, about 890,000 visits per year.